I absolutely love it when someone owns a product that they love and they tell me about it, especially when it comes to gift ideas. I have more than one item in my house that was recommended by someone that I know in real life or online that I just love. I wanted to do this sort of thing at Christmas time but I just didn’t get to it. It’s been on my mind for ages now and so here it is. I was totally burnt out on spending after the holiday season and took a nice healthy break from Amazon and online shopping the last few months. Now that spring, Easter, and summer birthdays are just around the corner I’m starting to think about gifts that I’d like to give. If you are in the same boat I think you’ll love this post. All of these are items that I have bought and own (except for one and I’ll be sure to point that in its description). They are things that we have been using regularly and that I highly recommend. Let’s get to it shall we! And since these are all things that I already own I would love to hear your recommendations for great gift ideas for the coming months. When I think of spring and summer gifts I tend to think of books (summer reading, vacation travel, and we always need good quiet/activity books for church), outdoor activities, games, and then the classic non-seasonal toys (like wood toys and Legos). This was recommended by my friend Cassie at Wholefully and I put it in my shopping cart that very day. 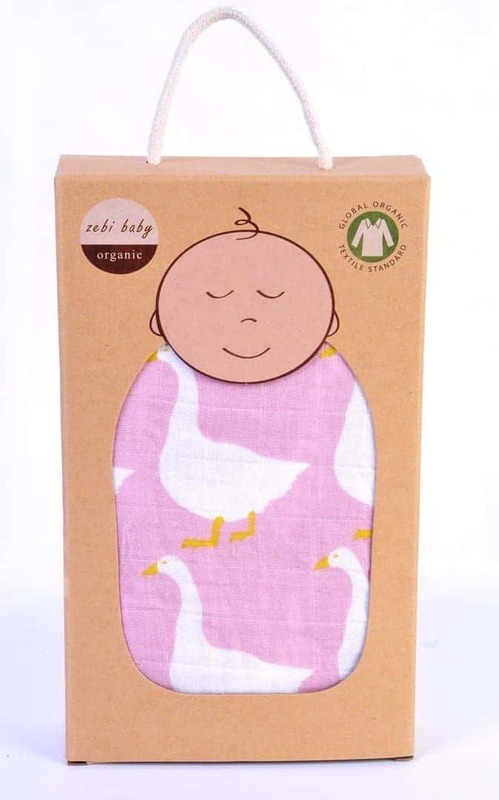 I just discovered muslin blankets with my last baby and fell in love! They are light, they hold a tight swaddle well, and they are easy to use as a nursing cover without getting too hot. I love them! This particular blanket (I bought the gray whale pattern) is extra large at 47” by 47”. This will be perfect to use as a cover, to throw over the car seat to keep the sun out, and to just have around. I’m so excited to use it. This would be perfect in Baby’s Easter basket or for your next baby shower gift. I bought these for Paul for Christmas and they are so cute. Chickens are just perfect for spring aren’t they! These are made from a nice heavy plastic, stack together easily, and the best part is they stack on top of each other. 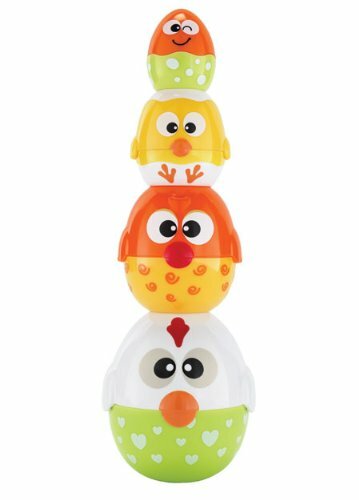 The bigger kids will make him a chicken tower and he loves to knock it over again and again. I love that you can store all of the pieces in the biggest chicken (which I think may be a rooster really), so it doesn’t take up much room and you can find all of the pieces easily. I love pretty much everything that Melissa and Doug makes and buy lots and lots of their products. This little crab is not only fun to play with, twist his legs, and chew on, but it’s also super sturdy and made out of thick wood. We actually carry this product in our hardware store! If we carry it chances are good you’ll be able to find it locally too. This fits perfectly into little hands. Babies have plenty of puppies and bears; they need more crabs in their lives. 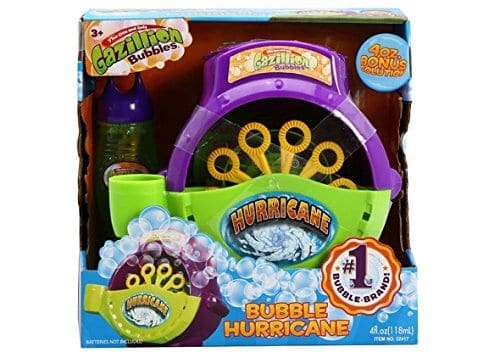 I bought this bubble machine last year for my kids for Easter and we love it. I don’t get it out all of the time and so it’s kind of turned into a fun treat that we get out on special occasions. It works really well. Sure the bubbles are sticky and messy because my kids tip it over almost every time we get it out, but it really does make a gazillion bubbles. It saves me from huffing and puffing and every kid loves bubbles. Be warned though, it is a battery hog. Also, it does not work well with homemade bubble mixtures. I bought two gallons of commercial bubble solution last summer and we used it all. This is the product that we do not own, but I think this might be what I get my 3-year-old for his May birthday. I love the idea of this and I really think the kids would get a kick out of it. Plus I’m hoping it will wear them out with all the rocket chasing they will do. I liked this model because it has two things to jump on but it has good and bad reviews. I might go with the single rocket that has better reviews. Anyone every own a Stomp Rocket? I’d love to hear what you think. We. LOVE. This. Game. Ashley from Little Blue Boo wrote about this game sometime last year and I bought it that day. Best idea ever. This is a card game that is about the size of your palm and has pictures on it. Every card will have one picture in common with another card and your goal is to spot the two little pictures that are alike. I have no idea how it is possible that every card has a matching picture no matter the order, but it always works. There are variations of the game too (they all come in the instructions) and we have spent hours playing it. It’s a game that Thomas and I like playing as much as the kids. It’s small enough that you can throw it in your purse and play while you are waiting at the doctor’s office or at a restaurant (you lucky people who live close to that kind of thing). There are a million different versions of Spot it! too like Disney, camping, and more. We have this original version but I’m sure they are all really fun. Highly recommend this one and at only around $10 it’s a steal. 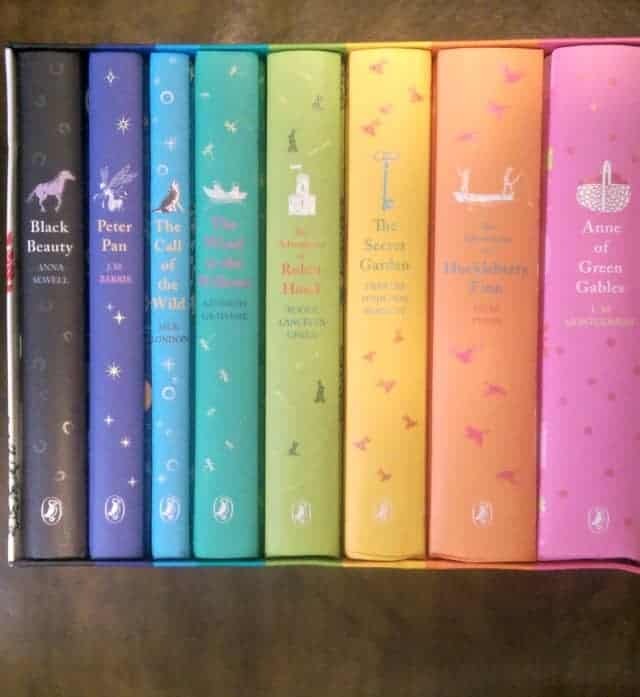 This set includes Black Beauty, Peter Pan, The Call of the Wild, The Wind in the Willows, The Adventures of Robin Hood, The Secret Garden, Huckleberry Fin, and Anne of Green Gables. 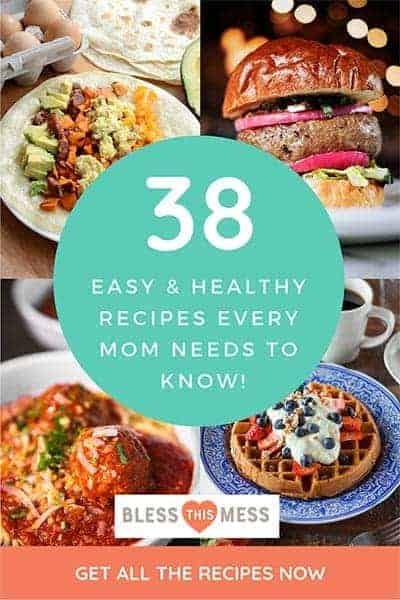 I have linked to it on Amazon so that you can see it but I don’t recommend buying it there. I got it though the book order at school for $60 and after telling a friend, she found it on Zulily.com for the same price (which is almost $100 less than what Amazon is selling it for). This set was just so full of classics that I had to get it for the kids for Christmas and I am so glad that I did. Their dad read out loud The Adventures of Robin Hood (and the little boys LOVED it!) and I’m readying Black Beauty to them now. It’s been so fun to have some really great stories to read out loud to them and I know one day they’ll be reading them on their own. This set is amazing and would be perfect for your summer reading or lazy afternoons. I normally pull the blocks out and the kids sit on the floor and listen (but play) while I read. It’s a magical time and one that I think you’d love in your life. I’ve been reading out loud to my kids since my oldest was about three, and I really think there’s no better time to start. and that was a smart idea. These wash out of their church clothes a lot better than some of the other dry erase markers we have used. Plus they come in fun colors. We love these books! 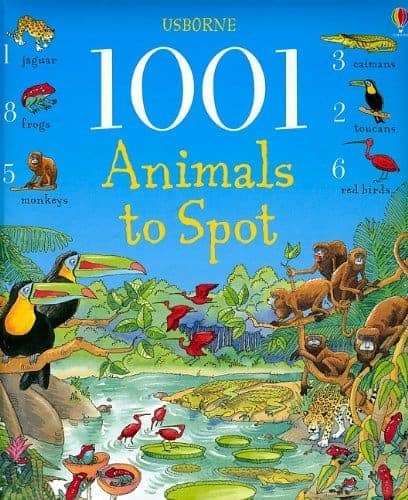 There are all kinds of “1001 Things to Spot” books. We own the animals, bugs, farm, sea, Christmas, and pirate things to spot books and I love adding to our collection. If you click on the link you can actually look at the inside of the books, which I recommend. They are beautifully illustrated and have different levels of interaction, so again, all of my kids use and love them even at their different ages. I think it’s fun that they use the real names for all of the animals too. I’ve learned all kind of new animals by looking at these. These are awesome for church bags, road trips, and just because. These sticker books are really fun and the collection is huge. 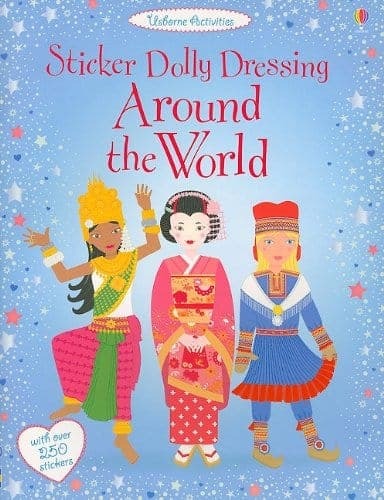 You can dress fairies, ballerinas, sports girls, everything! Macey has been through 2 of these books in the last year and was just thinking of saving her money to buy another one. The pages have a whole scene on them and you can do more than just add clothes to the little girls. There are flowers to add to bushes, cupcakes to sit on picnic blankets, and plenty of shoes to accesories. These have been a big hit in my house. We give them as birthday gifts to friends often. 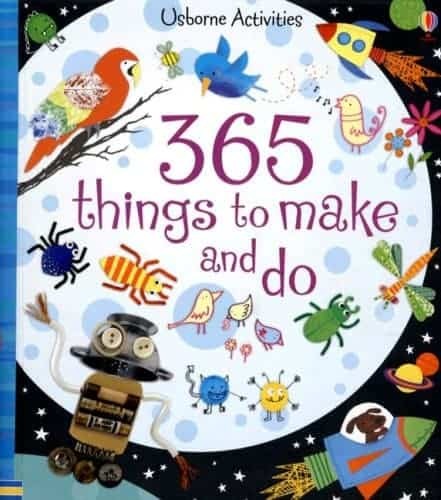 This book is plum full of fun and creative crafts using all different kinds of mediums. 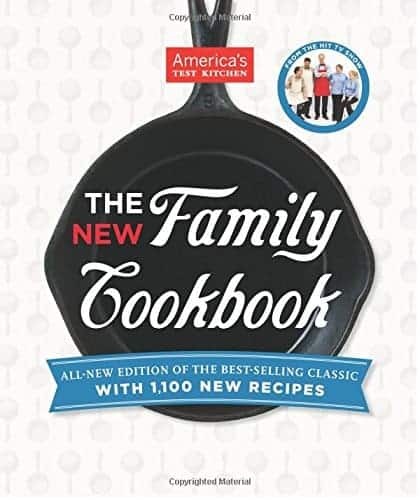 I’m pretty sure there is a girl version and a boy version, but this is the unisex book. My kids love pulling this out and picking an activity to do in the afternoon. Sometimes a little idea goes a long way and all we need is something to get our creative juices going. 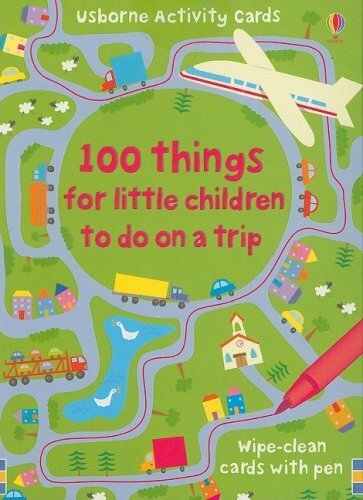 I kind of think of this book as a Pinterest for kids. It’s a great at inspiring new creative projects and I love that. Macey got this Lego bakery for Christmas and she loved it. I had no idea that they made “girl” Legos until my friend DaNae mentioned it before Christmas. I just starting buying Legos late last year and I’m new to the game. This is a bigger set but it’s so adorable. She has made and taken it apart to start over a bunch of times. If you are looking for a smaller set I also got her a juice bar one (it was like $9.99) and it has a mo-ped that comes with it! Take a look at the girlier Lego sets because some of them are awesome. My boys like them too. The kids aren’t the only ones who need gifts right! My husband was given a head lamp to use when he was Scout Master a few years ago and he fell in love. He now uses one when he takes out the trash or checks on the animals on dark winter nights or to do things like work on the car. He loves his headlamp. The headlamp pictured is a cheaper kind that we bought for the kids (because they were always stealing Dad’s) and they have lasted really well. If I were buying one for my husband though I would probably spend a bit more and get one that is a little better quality. I do like this extra strap this one has though, it keeps the lamp right where you want it. Everyone who owns a camera needs one of these, no matter how cheap or how fancy. I kid you not, everyone needs this. Camera lenses always get smudges or little dusty pieces and I’m sure you are using your shirt to dust it off. 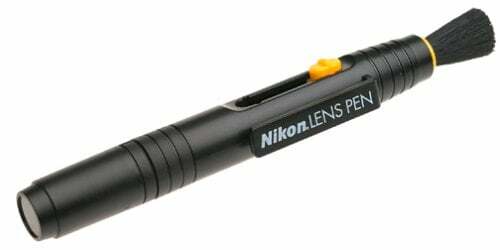 This “pen” has a retractable brush on one end to remove dust and a lens cleaner on the other end. I have no idea what the lens cleaner end is made of but it is amazing at getting of smudges, no matter what they are. I keep this right with my camera and literally use it every day. How did I ever live without this?! And just because I can! 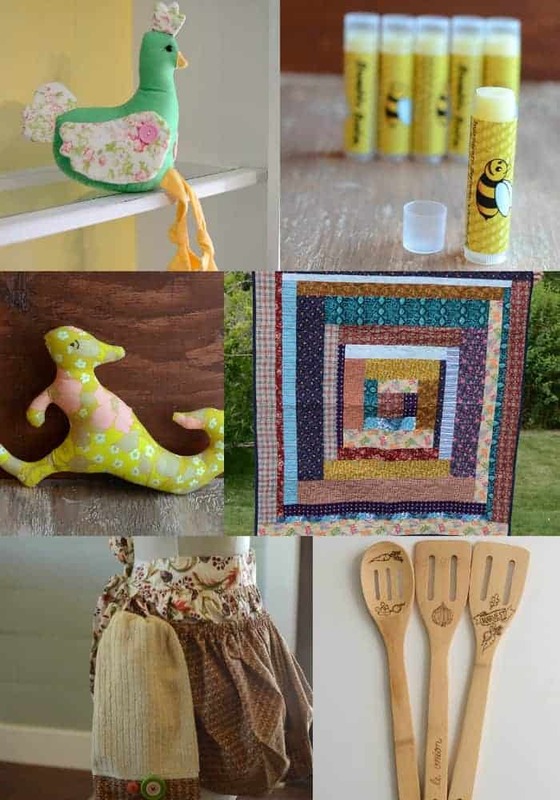 Don’t forget my Etsy shop. Spring is such a slow season for me, but I’d love to change that. Keep my aprons and chickens in mind for Easter baskets and Mother’s Day. Handmade is always a winning option. I have all kinds of things in my shop, not just Christmas stuff! And there you have it, sixteen things that I own, love, and know that you’ll love too! Now it’s your turn and I’m all ears. What is your Spring Gift Guide? I can’t wait to hear! And FYI: Most of these links are affiliate links. If you purchase a product after clicking an affiliate link, I receive a small percentage of the sale for referring you, at no extra cost to you. 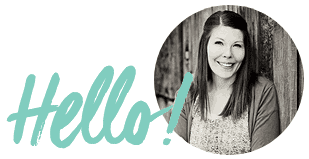 Purchasing through affiliate links is an easy, painless way to help out your favorite bloggers. Thank you so much for your continued support! You do realize that the rocket is for ages 8 and up. I don’t always go by the age but when there is a big difference in age I step back and tell myself it is not right for them right now but will be in a few years. I didn’t! There is a Stomp It Junior… maybe I’ll look into that more. My son had a similar (single) one of those that he got as a birthday present at about age 3 or 4. He adored it, wore it out, and saved his money to buy another one (which he also used until it wore out). It was really fun and he used it a lot! There’s not a lot to it, so I don’t think the age designation is a big deal. 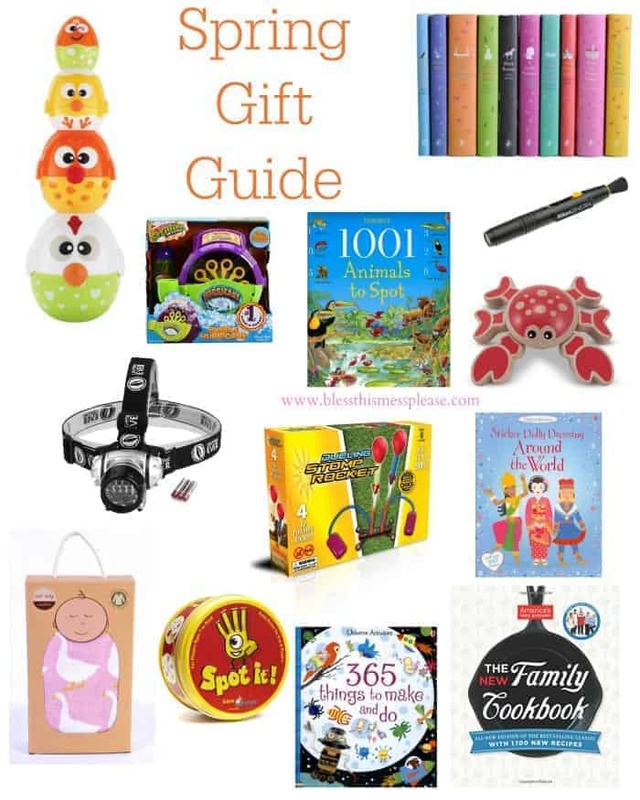 I love gift guides and seeing what products others love and use. I gave my son a stomp rocket for his fourth birthday and it was a huge hit with all the kids. It eventually broke, but was very popular at our house. Everyone I’ve ever heard of having one loved it. And I will totally second the chapsticks from your shop. Love them! They work so well and have such a pleasant scent. It’s my fav. 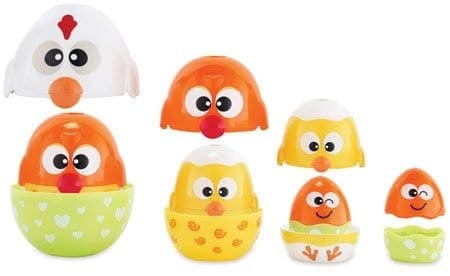 Those Chicken Eggs Stackers are adorable! I might just have to get those for my kids for Easter! We had Stomp it Rocket that we got for my sons birthday and it broke that day. I’m not sure it was the same brand, we got ours at target! It didn’t get enough pressure in it to go up very high at all, so them my husband used his air compressor and it blew the top off the rockets 🙂 Oops! That was the number one complaint when it came to the stompers… and my husband would totally do something like LOL!! We got a stomp rocket a few years ago and my kids still love it! We took it to the park last night and my 2 year old twins played with it for a long time, both with and without someone older helping. I highly recommend it!